Please tell me what you think and advice on my improvement i'd really appreciate that. 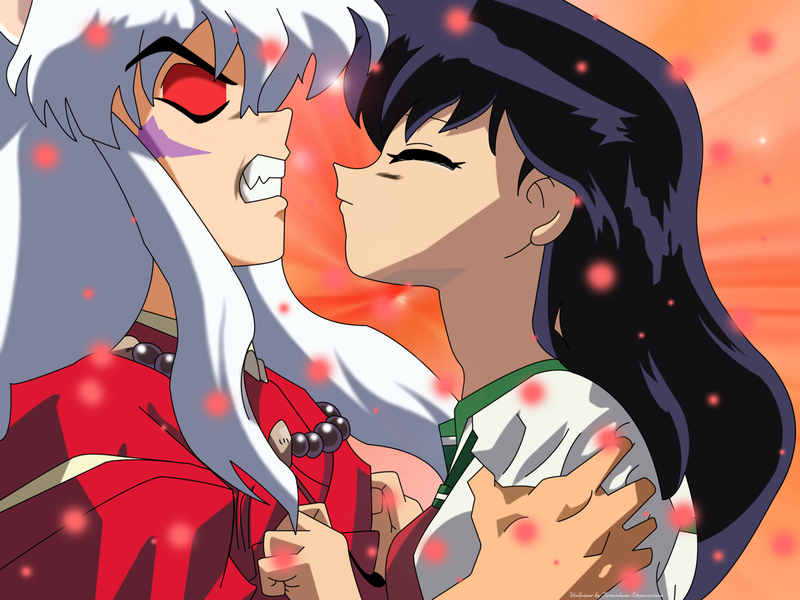 Awesome work -- color excellent, the only downside -- and this is due to the source you worked from is kagome's face looks elongated, but other than that (which, the only way you could have addressed that, would have been to perform a *much* more complicated "repair" of that part of the source drawing as you re-used it -- to correct the proportions). It could be a tricky mod, too -- since to back her lips back toward the back of her head, would also back them away from their intended target (Inu). Your use of color and the texture are wonderfully smooth. The colors are very good with respect to accuracy to the series. A+ and added to my favorites! Instead of fixing it i focused on... creativity. I was satisfied with minor changes like the hands of the characters, Kagomes end of the hair, her tears, etc. Thank you for you advice for your compliments. Beauty and the Beast ^^. "i am just a beginner" i don't think so, the wall is really great. This very good your work!